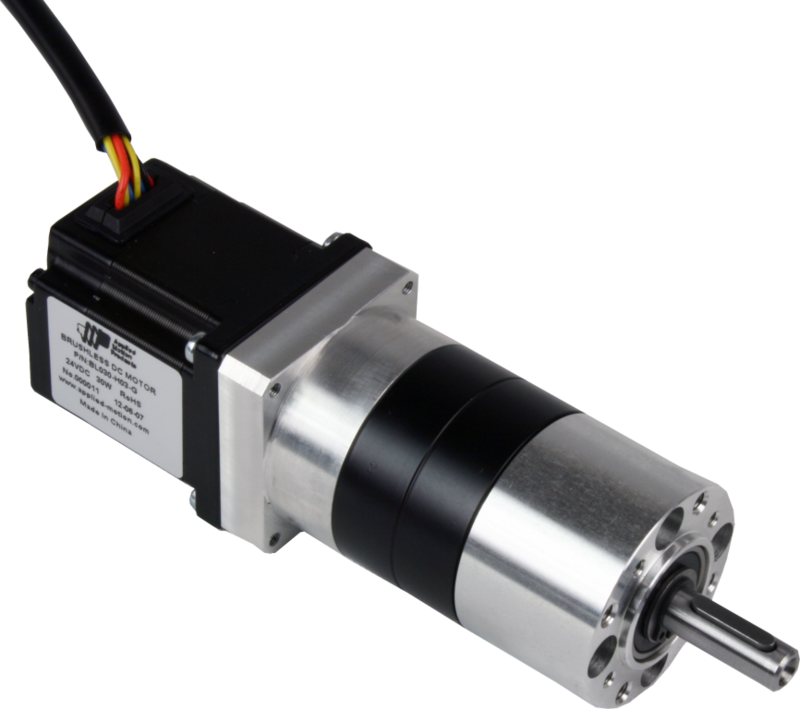 Our brushless DC motors and drives are built upon advanced control technology that features excellent performance and ease of use. These brushless systems are aimed at applications requiring high performance, high speed stability, basic velocity control, simple setup and low cost in a compact design. The BD brushless drives is are efficient and richly featured drives designed for use with our line of brushless DC motors. They provide stable velocity control over a wide speed range. Motor speed can be controlled by an on-board trimpot, a 0-5 volt analog input, or via the drive's digital inputs. Dedicated stop and enable inputs are available, along with a dynamic braking feature that brings the motor to zero speed in a quick and controlled fashion. The BL series brushless motors offer long life and low maintenance. They come in three metric frame sizes (42, 57 and 80 mm) and are offered with optional gearheads for applications demanding high torque. 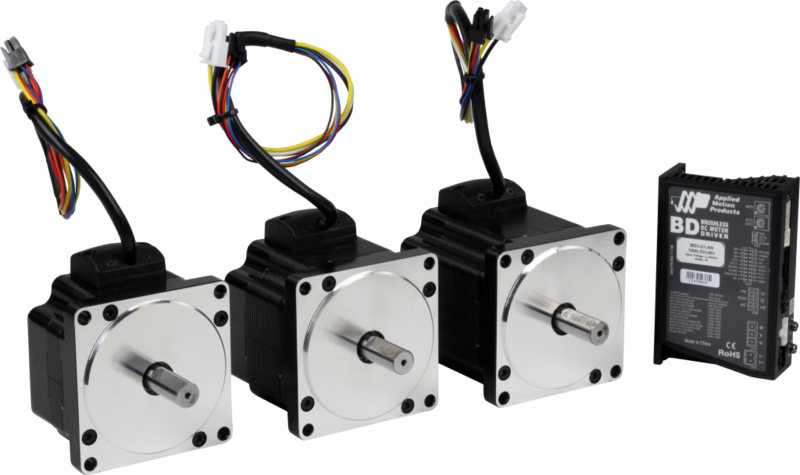 These are three-phase brushless motors with hall signals for commutation and velocity loop feedback. 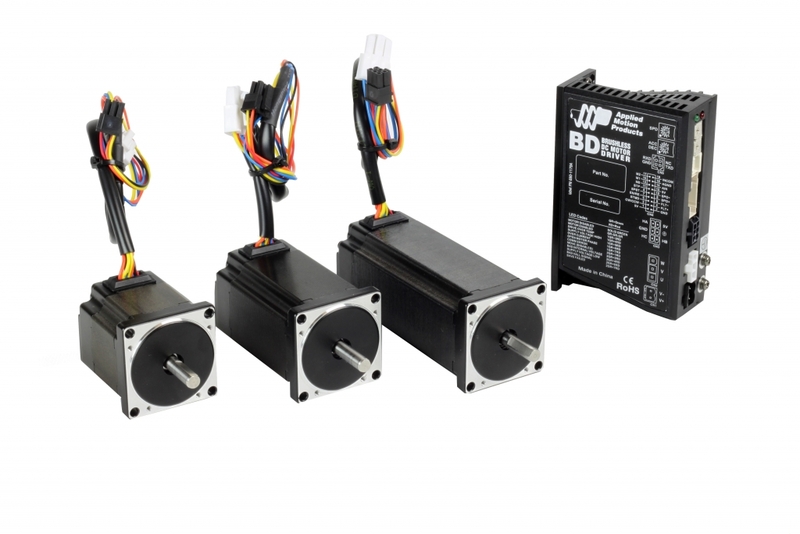 The BD drives and BL motors are optimized to work together as sets. The table below shows which BD drive model is matched with each of the BL motors. The BL motors can plug directly into the BD drives. Extension cables are also available for longer distances between the drive and motor. Part number 3004-272-1M is a 1 meter extension cable and 3004-272-3M is a 3 meter extension cable.